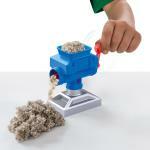 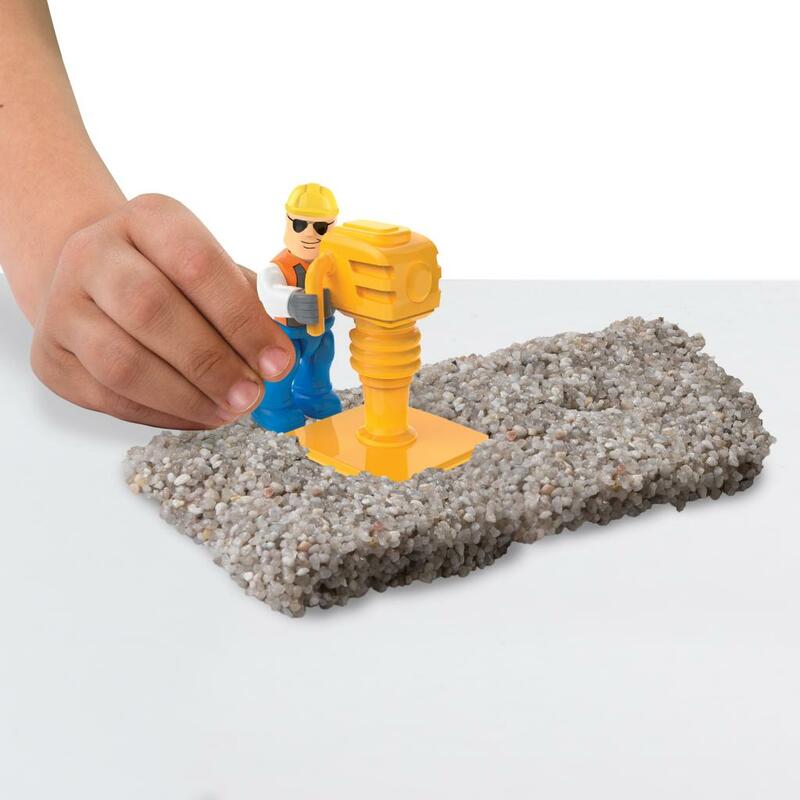 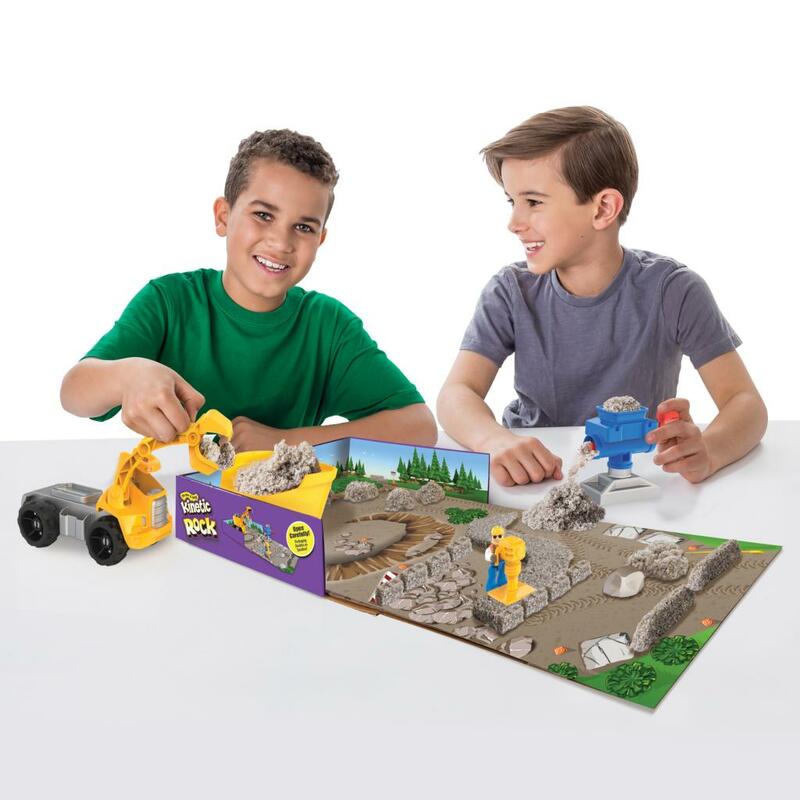 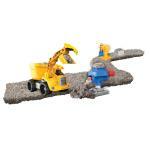 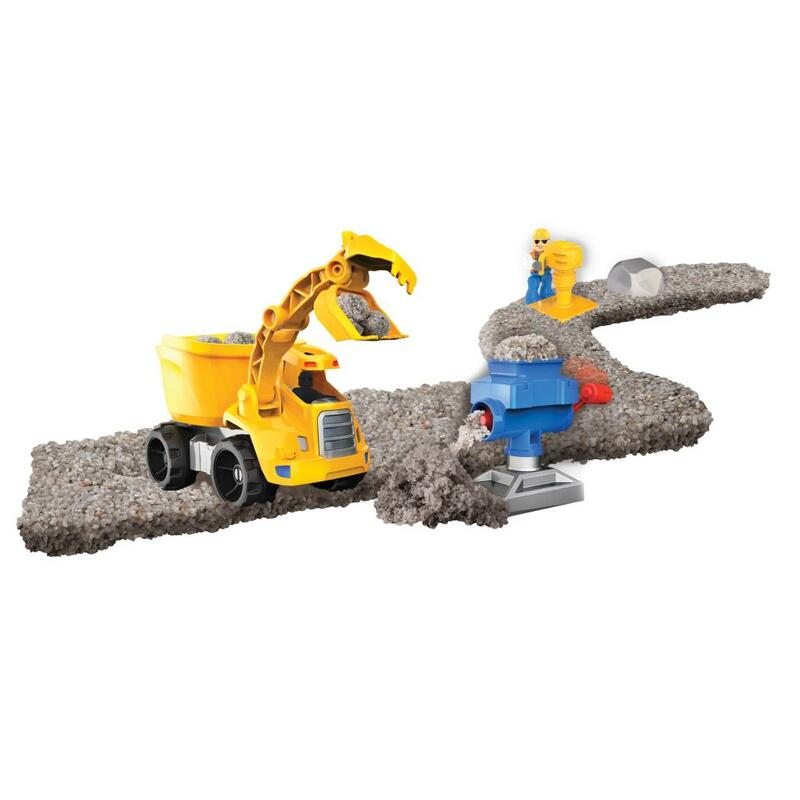 Dig, build, and crush with the included rock crusher! 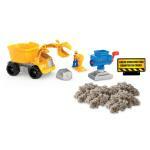 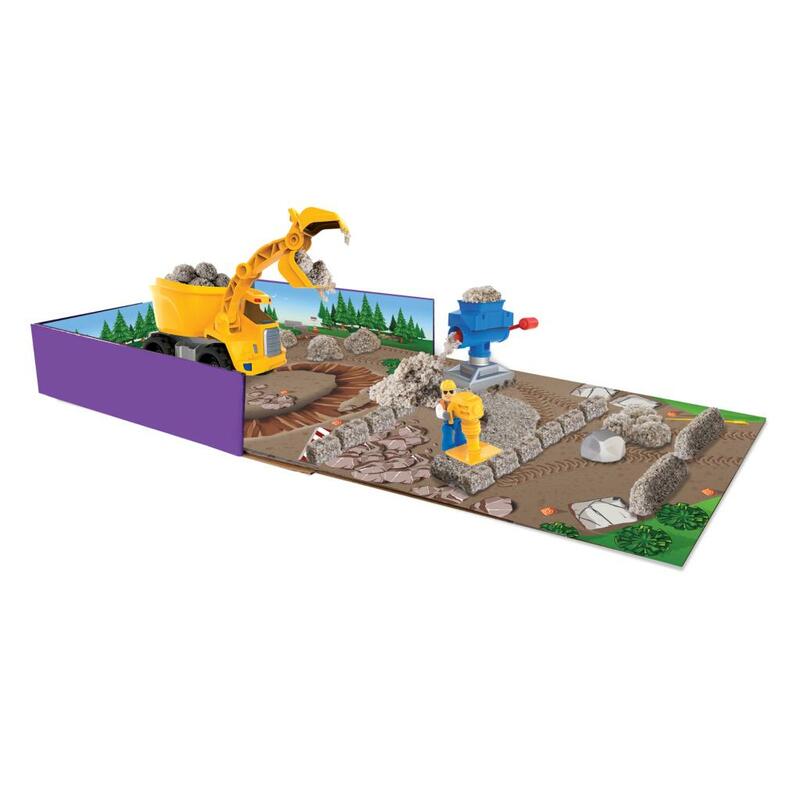 Use the included construction tools and mold to pave a road, create boulders, and crush rocks. 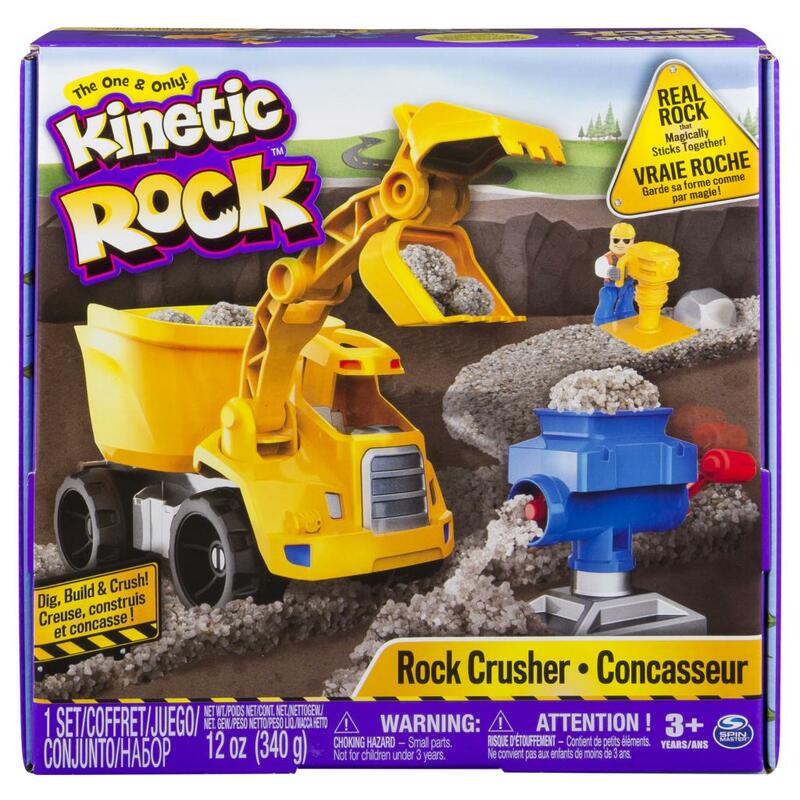 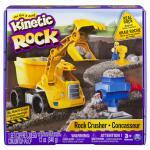 The all-new Kinetic Rock Crusher Set provides real construction fun for kids ages 3 and up.